You'll be £6.80 closer to your next £10.00 credit when you purchase The Luftwaffe and the War at Sea. What's this? 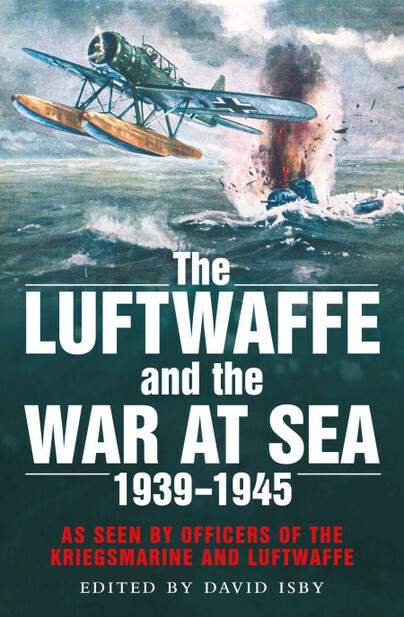 The Luftwaffe and the War at Sea is a collection of fascinating accounts written by German military officers – both Kriegsmarine and Luftwaffe – about the naval war in the air in the North Atlantic and around Great Britain. Most of the documents were written immediately post-war as part of the Allied debriefing programme. However, some are wartime German originals produced for internal use by military staff, but all have the value of immediacy; they were written when memories were fresh and, in many cases, by those who were directly caught up in the action. These men were personally involved in all aspects of the German attempts to control the seas through maritime power, from the use of Ju 87 Stuka dive-bombers during the invasion of Norway to the missions of FW 200 Condors in cooperation with the U-boat campaign against Britain's Atlantic lifelines. The writers include such well-known names as Grossadmiral Karl Doenitz, Kontreadmiral Gerhard Wagner, General der Flieger, Ulrich O. E. Kessler and Vizeadmiral Eberhard Weichold. The history recounted in these reports is unique and first-hand, allowing the reader a fresh perspective on those famous campaigns. Furthermore, much of that wartime experience was harnessed during the formation of the Bundersmarine's Marineflieger in the 1950s that then served throughout the Cold War. Today it still participates in the global war on terror with its Atlantic marine patrols. This book is highly recommended for all air and sea power enthusiasts. ‘The Luftwaffe and the War at Sea 1939-1945’ is an effective counter for anyone who believes that our modern joint, seamless Australian Defence Force is an intellectual reality. This is original source material provided by German military officers and sensitively edited into book form. It provides a fascinating insight into the German views of naval aviation and the war at sea – Most Highly Recommended.